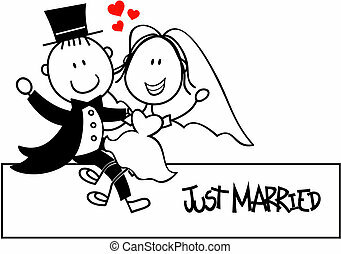 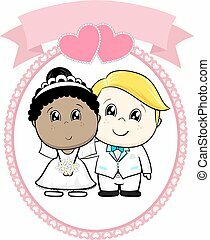 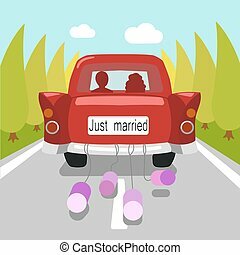 Just married cartoon. 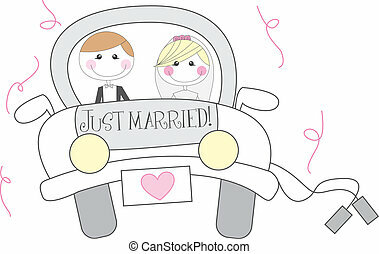 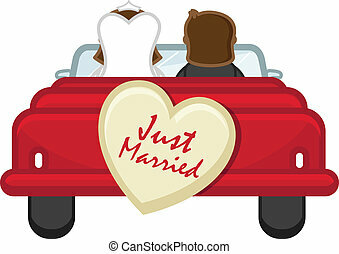 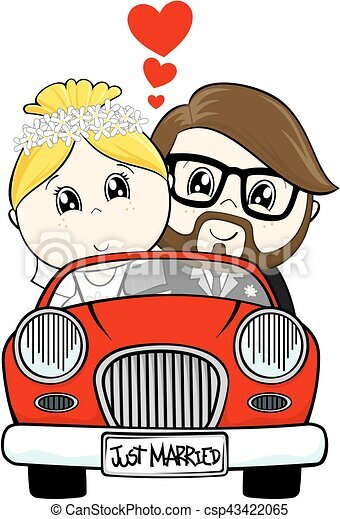 Funny illustration of just married bride and groom driving a red car isolated on white background. 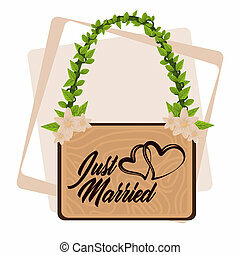 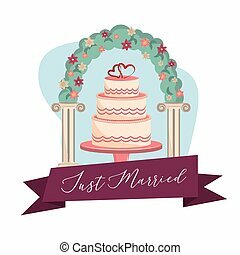 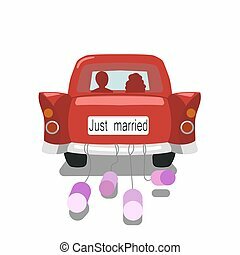 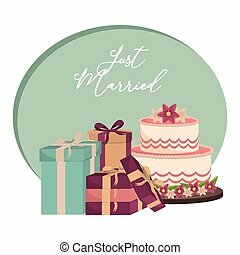 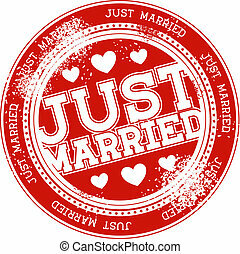 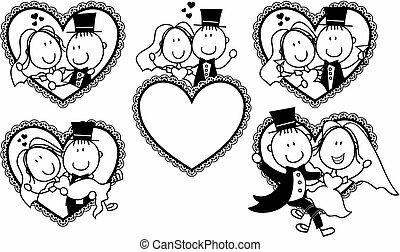 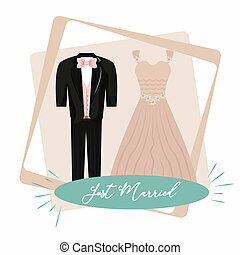 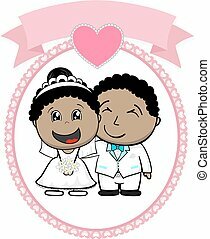 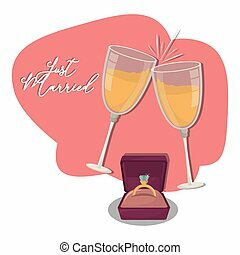 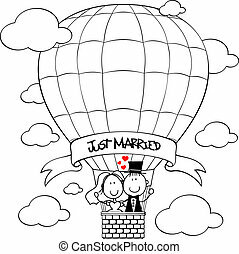 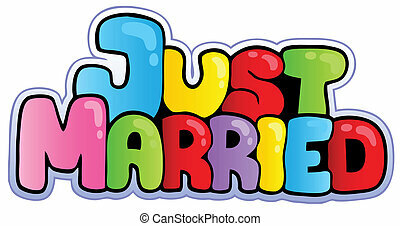 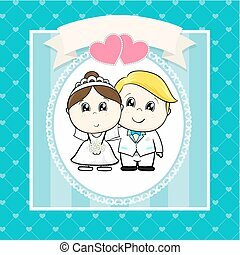 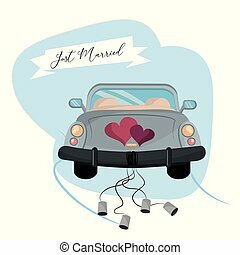 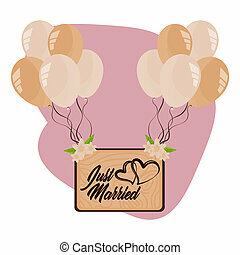 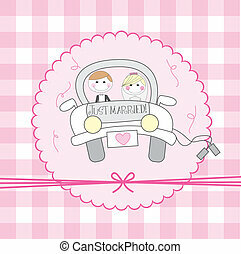 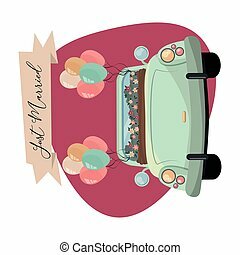 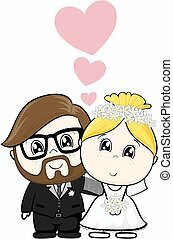 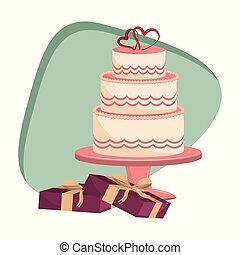 Just married cartoon sign - vector illustration.